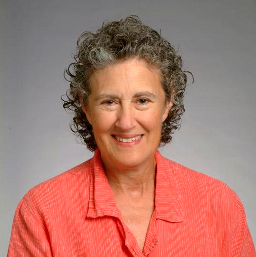 Barbara Liskov is Institute Professor and head of the Programming Methodology Group. Liskov's research interests lie in programming methodology, programming languages and systems, and distributed computing. Major projects include: the design and implementation of CLU, the first language to support data abstraction; the design and implementation of Argus, the first high-level language to support implementation of distributed programs; and the Thor object- oriented database system, which provides transactional access to persistent, highly-available objects in wide-scale distributed environments. Her current research interests include Byzantine-fault-tolerant storage systems, peer-to-peer computing, and support for automatic deployment of software upgrades in large-scale distributed systems. Liskov is a member of the National Academy of Engineering, and a fellow of the American Academy of Arts and Sciences, and the Association for Computer Machinery. She received the ACM Turing Award in 2009, the ACM SIGPLAN Programming Language Achievement Award in 2008, the IEEE Von Neumann medal in 2004, a lifetime achievement award from the Society of Women Engineers in 1996, and in 2003 was named one of the 50 most important women in science by Discover Magazine.